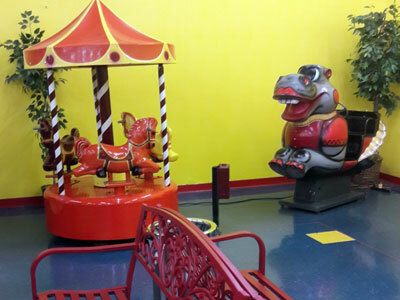 Rocky’s Ride-A-Rama is a unique, separate kiddie area of 35 button-operated rides for kids 2-10. 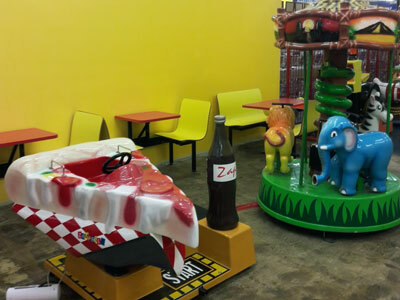 It has comfortable seating throughout for parents and grandparents to enjoy watching the delight on their children’s faces. 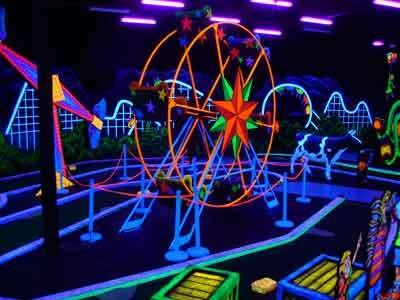 It is $5.00 for two hours of play within the area, and with the wristbands provided, the kids can enter and leave the area as often as they like during those two hours. 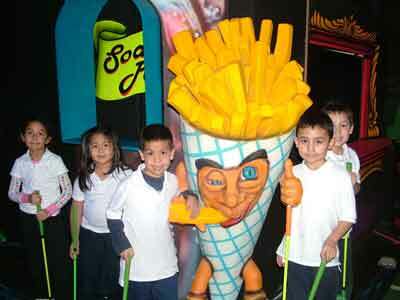 On Wednesdays, it’s Family Day at The People’s Choice Family Fun Center, and the admission is only $3.00! It’s a safe, economical way for the younger members of Rocky’s family to enjoy themselves, while giving their parents a well-deserved rest. Take advantage of this fun filled opportunity!